It’s been over a year since Ghost 1.0 rolled out and now the blogging platform is taking a bold leap forward with its 2.0 version. This update brings a lot of changes to Ghost. If you haven’t been keeping up with the platform, you might even struggle to recognize it in its current state. In this article, we’re going to introduce you to Ghost 2.0 and talk about all the new features it offers, such as a brand new editor and multi-language support for your website. We have a lot of exciting functionality to talk about, so let’s get to it! If you’re already familiar with Ghost, you’ll be glad to know that while Ghost 2.0 brings a lot of significant changes to the table, the core of the platform remains the same. However, the 2.0 version does mean a huge step forward with numerous new features. For example, its editor has received a facelift, and you’re now no longer limited to only using markdown. You can still blog using markdown if that’s your cup of tea, but the new Ghost editor is more approachable to users that prefer a more visual experience. Even so, the editor remains incredibly clean, and it still provides one of the best writing experiences we’ve had the pleasure of using. However, the new editor is only the tip of the iceberg. Over the past year, Ghost has steadily added a number of interesting features, such as support for multi-author posts and several third-party integrations. 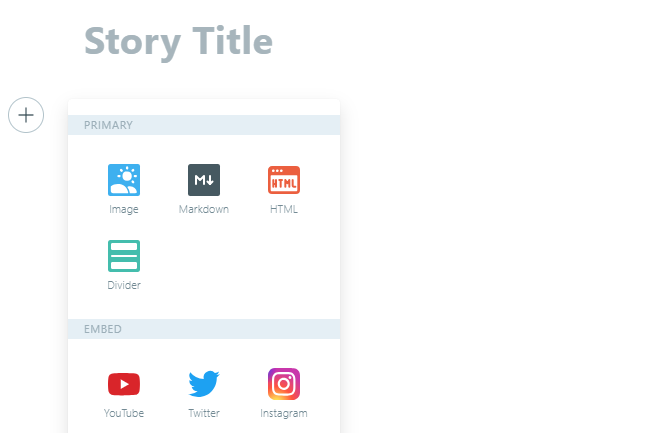 In addition, the platform now supports custom post templates, and the ability to add social metadata to your content. Those incremental updates, along with version 2.0, have helped turn Ghost into a serious contender among blogging platforms. Let’s talk about why this is and check out the new features included in 2.0! For this section, we’re going to take a look at the five most significant changes in 2.0 and why they’re an improvement. Let’s get spooked! You can add a lot of elements with a few clicks now, but they’re not so many that you feel overwhelmed, or make you feel like you’re using a website builder. The main takeaway here is that although the editor is changing, the Ghost team is determined to keep the core experience focused on writing. If you haven’t used Ghost for a while, you’ll also notice the two-panel editor option is gone. After all, you can now add markup directly to your content, which renders the second panel unnecessary. However, even with all these changes, the Ghost editor remains incredibly intuitive. Right now, the plan is to keep adding more dynamic content options to the editor, which will give you more options when it comes to publishing media-rich posts. Since we’re big fans of using different types of media within blog posts, this is a very welcome addition. While the process of setting up a multilingual blog is easier than it used to be, you still need to do a bit of work to set it up. More specifically, you’ll need to make use of custom URLs to set up versions of your blog in other languages, which brings us to the next feature. Before Ghost 2.0, you weren’t able to make any changes to your blog’s URL structure. The platform set up URLs automatically for all your posts and pages and that was it. Now, Ghost has become a bit more flexible, and you can create any type of custom URL structure you want. This is great news because you’ll be able to better categorize your content. For example, you can set up URLs such as /2018/johndoe/mylatestpost or tutorials/mylatestpost. Aside from the taxonomy benefits, you can also use custom URL structures to create multilingual websites, as we mentioned in the previous section. We’ve already discussed how custom URL structures open new possibilities when it comes to categorizing your posts. However, with 2.0, Ghost has also made sorting through your posts easier. In the past, you could only show your posts in chronological order, but Ghost now enables you to set up any type of custom order you want. For example, you can have tutorials and news categories, then configure unique orders for their related content. It sounds like a small change, but it can make organizing and navigating your blog that much easier. Ghost has been around for almost five years now, and the platform has evolved a lot in that time. The editor alone is leaps and bounds ahead of what it used to be, and it provides one of the best writing experiences we’ve tried so far. Now, with Ghost 2.0, the platform feels a lot more mature, to the point where you could use it to run a professional blog. As you’re probably aware, we’re big fans of WordPress around here, but we’re not shy about recommending Ghost if you’re looking for a streamlined blogging experience. What features would you like to see in future Ghost releases? Tell us where you think the platform should go next in the comments section below! Ghost 2.0 Editor sure does look like Gutenberg. “Ghost has been around for almost five years now, and the platform has evolved a lot in that time. The editor alone is leaps and bounds ahead of what it used to be, and it provides one of the best writing experiences we’ve tried so far.”- A northworthy development. @Richard Ginn I had the same thoughts as you when I saw the new 2.0 editor myself. I used to use it before and after 1.0 but I quit and went back to WordPress mainly due to integration issues and the price point for an entry blog @ghost.org since I got tired of updating the software and settings at other hosts. Is it possible ET can make a video about ghost 2? I’m unable to find any such information on YouTube. BTW, I do like that ET is talking about other CMS besides WordPress which gives me hope that something is under works in regards to ghost cms. Wish ET Team the best.